Are you planning where to visit in Malaysia? If the answer is yes, this post is for you. After reading this you’ll have a good idea on what your Malaysian itinerary looks like. I also throw in my dream Malaysian itinerary at the end. Why am I qualified to write this? I’ve spent over six months in Malaysia on various trips. 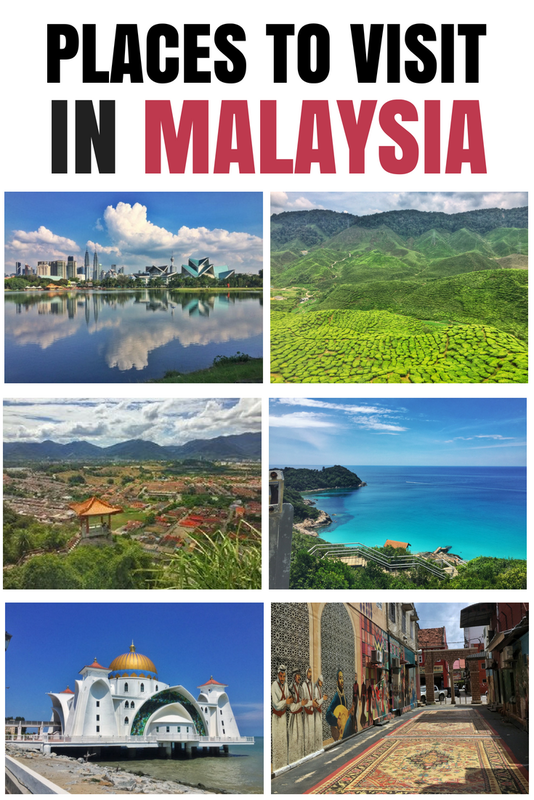 I haven’t seen every corner of Malaysia but I have visited the majority of the tourist destinations (plus some off the beaten path spots because #realadventurebadasslocaltraveller… ). Seriously though, Malaysia is great. It has something for everyone. But we can’t fit every destination in so you need to make some decisions. To help you with that, I’ve split this post into several questions that will help with planning your visit. Note: When comparing two cities, I’m doing so as they’re similar in what they offer. Every place is unique of course but we all have to make choices in life right? Should You Spend Time In Kuala Lumpur? 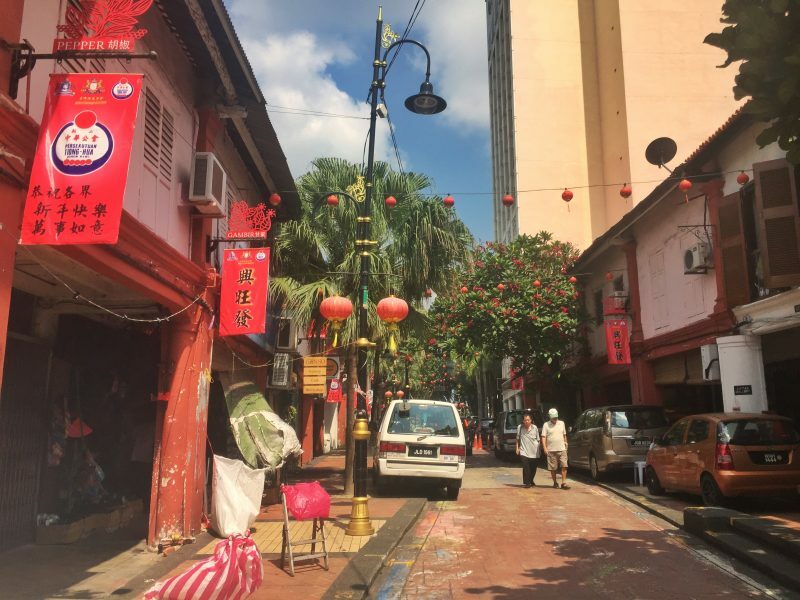 | Penang or Ipoh? | Melaka, Yes or No? Langkawi or Perhentian Islands? 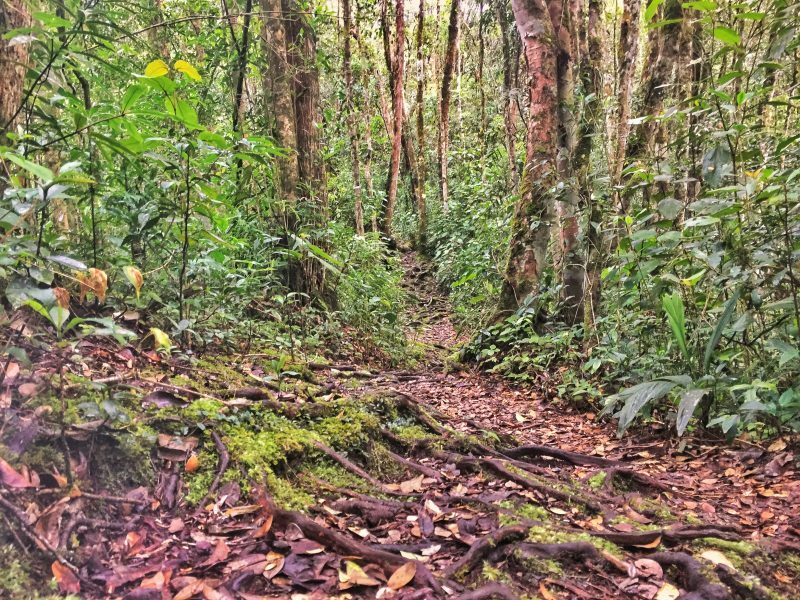 | Cameron Highlands or Taman Negara? Johor Bahru or Kota Bharu? | Boreno, Yes or No? 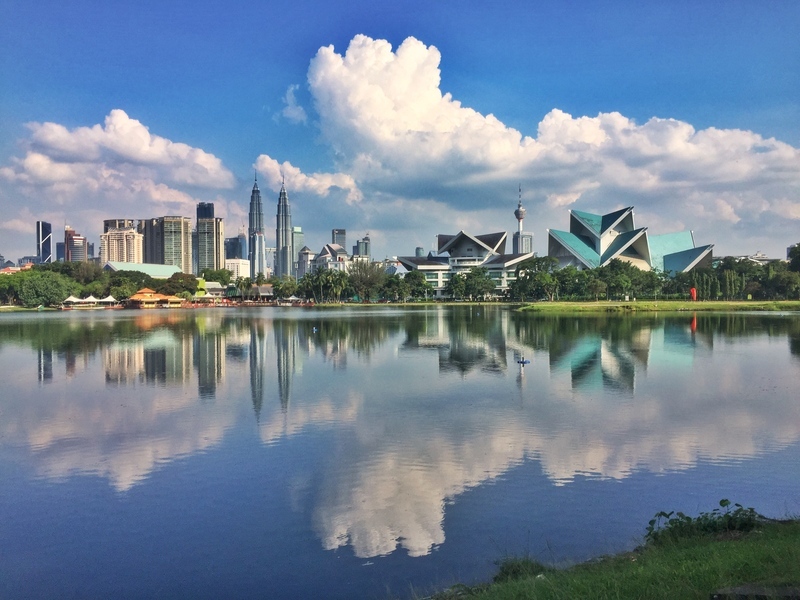 Should You Spend Time In Kuala Lumpur? How long you should spend KL can be tricky as you might find yourself passing through Kuala Lumpur often. If you know you’ll be traveling through KL on your visit several times, you’ll be fine going to one or two places on each visit. They’ll add up and by the end of your regular transfers you’ll have knocked off the bucket list. That’s not to say they’re my favourite KL activities but if you manage to do all these then you can tick KL off your list. 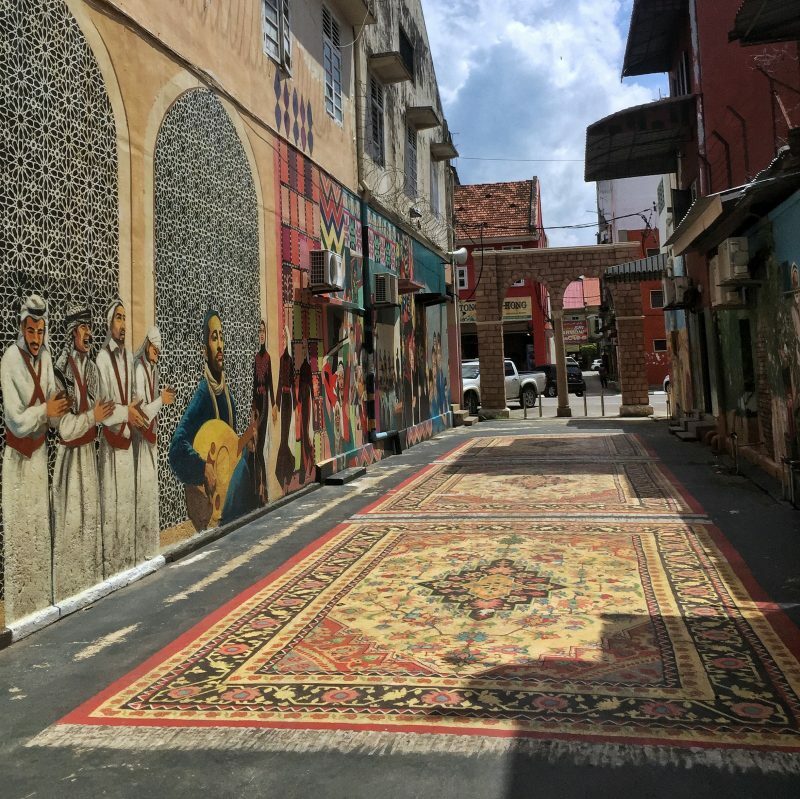 The longer you stay in Kuala Lumpur, the more likely you’re to discover the places to visit in the city that aren’t on every tourist brochure. If you’re only going to be in Kuala Lumpur once, spend at least two full days in the city (a third would be ideal). I’m jumping on the bandwagon and feel like Ipoh is the new Georgetown (Penang). Georgetown is getting overcrowded, and while it has a lot of charm Ipoh too offers food, and old town, architecture, and street art. My favourite view in Ipoh! If you love museums, Penang is the winner (some of the Ipoh museums I mention here are horrible). But then you’ve also got the small shops where white coffee originator from too which is a point to Ipoh. Penang might have hiking, but Ipoh has caves! Penang is closer to Langkawi. 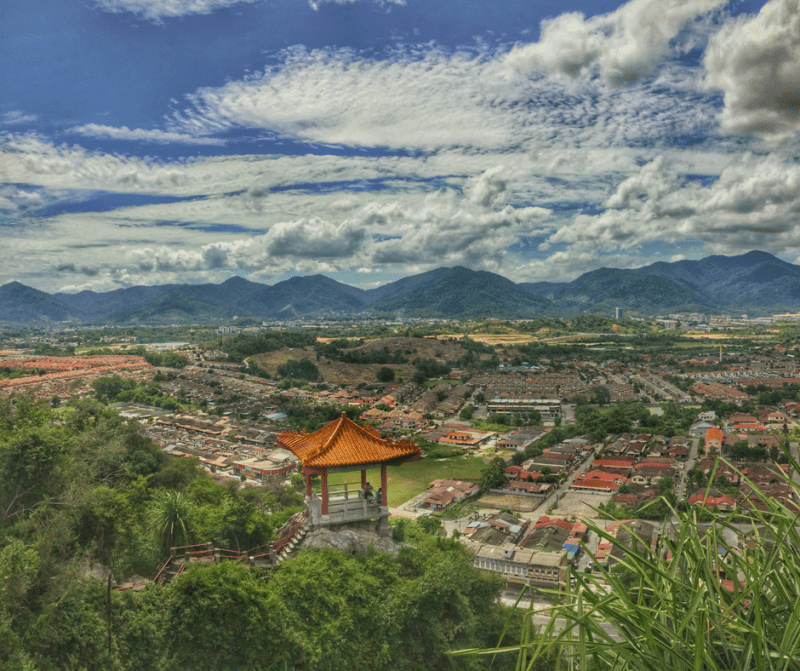 Ipoh is closer to the Cameron Highlands. There are more flights leaving from Penang than Ipoh. They are both super affordable (I wrote a cost of living in Penang post). It’s a split decision. Feel free to ask in the comments or send me an email with your situation and I can help you decide. If you’re planning to visit Johor Bahru (see below), then you could spend a couple of days in Melaka on your way there. 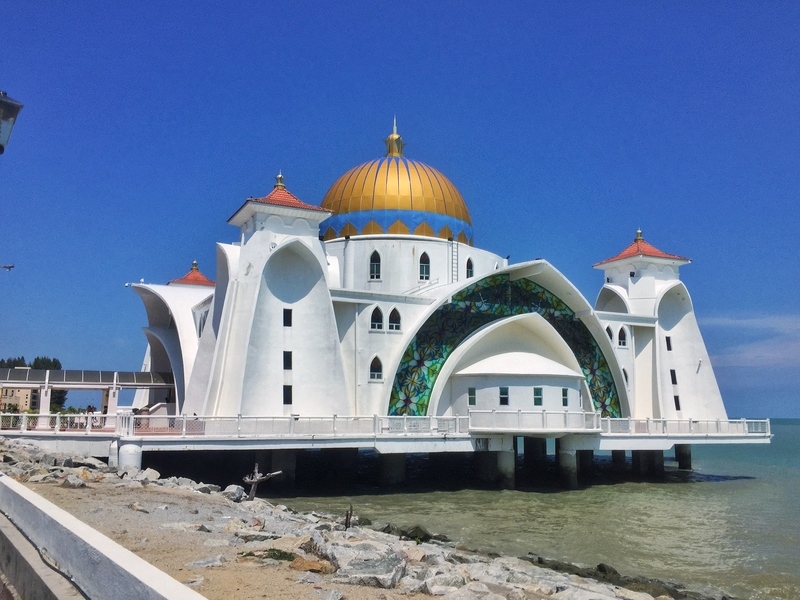 If you aren’t heading down that way, you could consider visiting Melaka as a day trip from Kuala Lumpur. It will be a long day as you’ve got a two-hour bus ride in each direction (minimum), but it’s a charming little city you can explore in a day. But, I wouldn’t visit if you are leaning towards Penang. They’re both UNESCO World Heritage Sites and while Melaka is nice, you won’t regret missing it if that’s the way it has to be. These are two of the places with the best beaches in Malaysia. But that’s where the similarities end. Langkawi is bigger with lots of accommodation options available online as well as lots of land-based activities. 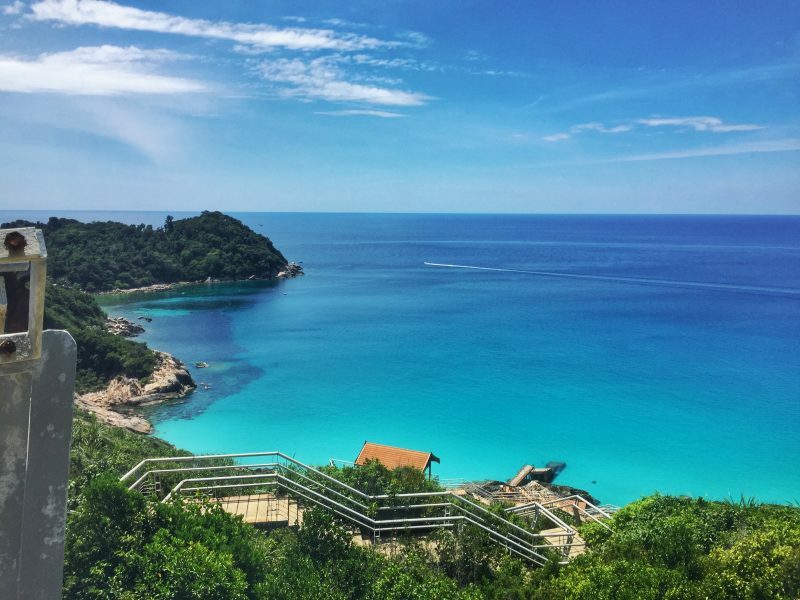 If you want to go Scuba diving (get any certificates), the Perhentians is a golden spot. It’s very affordable and based on talking to others, you get a variety of dive sights (I loved the snorkeling). If you want to dive then relax on the beach the Perhentians are for you. They can be inconvenient and make sure you during the right season (May to November) when it isn’t monsoon season. Langkawi has lots of beaches and water sports available and of course it’s a duty-free island so booze is a lot cheaper than on the Perhentians. This is an easy choice depending on your preferences (Langkawi has better access to Thailand and has an airport). Cameron Highlands or Taman Negara? Note: At the time of writing this I have yet to visit Taman Negara. These are two inland destinations where you can go with the main purpose of hiking. Friends who have visited both places say Taman Negara is a lot more jungle-like than the Cameron Highlands. The major downside to Taman Negara is getting there. It’s not hard to reach the tourist hub (Kuala Tahan), but it will take the majority of a day to get there and with no overnight travel options you’re going to be spending a couple days in transit. So unless you’re travelling to Malaysia for an extended period (1+ month), I’d choose the Cameron Highlands. The Cameron Highlands are awesome. The main road that passes through the ranges has lots of towns along the way but the majority of tourists will stay in Tanah Rata. My favourite thing about the Cameron Highlands was the temperatures! Tanah Rata is over 1000 metres above sea level so is cooler. I visited in June and loved being able to wear my hoodie. If you visit in the cooler months, expect to wrap up in the evenings and experiencing dream hiking temperatures during the day. Visiting the tea plantations and hiking are the two core activities here. You can access several tea plantations are a short distance from Tanah Rata by foot, hitchhiking (very popular in the area), car, or public bus. There are also lots of companies who run tours in Cameron Highlands. There is no need to book a tour in advance, take a look at the options at places in town the day before you go. There are around 16 hiking trails in the Cameron Highlands. The best part is that the trailheads are all within a few kilometres of Tanah Rata. The walks vary from easy (trail no.4) to tough (#7) but the best part is you can usually conquer many trails at a time as the routes often meet up. Download maps.me and you’ll find the trails marked. These are two cities that don’t seem to get a whole lot of tourism. They are more like an everyday city, yet that doesn’t mean they don’t places to discover. In terms of practicality, if you’re planning to go to the Perhentians, then Kota Bharu is the more logical place to visit. But if you are heading to Singapore after Malaysia, then Johor Bharu makes lots of sense. In Johor there are lots of shopping malls which isn’t my go. There are some cool temples though, including a mirror temples. But for playing tourist I preferred Kota Bharu. That street full of street art above was incredible! There was also a bunch of museums, a great market with lots of colour around the city, and everyone was super friendly. Honestly, Johor was meh. Kota Bharu was halfway decent and you could spend one crazy day exploring all the things the city has to offer. Getting to Borneo itself is easy with lots of flights from Kuala Lumpur and Penang. Borneo needs no introduction as it’s one of the largest islands in the world. You could even deem Borneo to be its own country. So I’m going to say you shouldn’t visit Borneo unless you can dedicate at least seven days to exploring. Woah, that wasn’t so hard after all (and a day to spare). If you have any questions about what places to visit in Malaysia, ask below or send me an email and I’ll get back to you ASAP. It’s such a great looking building right?! I loved Malaysia and can’t wait to return, such a unique country. I also love how you are comparing different destinations, it gives me a better idea where to go and what to skip. What’s your favourite spot in Malaysia not on this list? Always keen or new ideas!